White ripples of sand formed in the pristine waters as small sailboats glided peacefully in the horizon. The water is beautiful with many different shades of blue colored like a pastel painting. 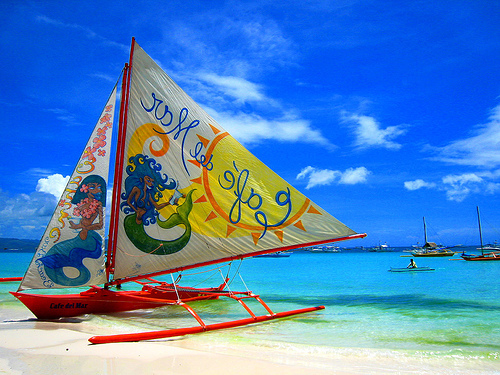 Seeeing that it can be easily understood why Boracay Island was known as the “Jewel of the Philippines”. This pearl among tropical islands was well-guarded secret paradise, until 1970s. From around that time Boracay island slowly graduated from a private travellers hangout to a favourite tourist destination in the Philippines and place with the best beach in the world. Boracay is a tropical island in the Philippines, an hour flight from Manila. The island is approximately seven kilometers long, dog-bone shaped with the narrowest spot being less than one kilometer wide. Island is famous for its powder-fine white sand, clear warm water and nice, pleasant weather all year round. Take a boat trip around the island and you'll discover many beautifull beaches. Boracay's two primary tourism beaches, White Beach and Bulabog Beach, are located on opposite sides of the island's narrow central area. White Beach faces westwards, it's 4km long and can be crowded. Skimboarding has come to Boracay in a big way. Skimboarding is a clean and cheap sport, and has become popular along White Beach. The locals teach visitors the basics. A large variety of gourmet restaurants with food from many cultures are all within walking distance this magnificant white beach. Fine French cuisine, swiss food, several true Italian restaurants and wooded oven pizzerias, local Philippine food, sea food, Chinese and Thai food, Korean and many other food specialties. Bulabog Beach faces eastwards and presents the best kiteboarding and watersport beach in Asia, due to the unique wave breaking reefs and ideal wind situations. There are numerous competitions and events here as well. It is also less developed and quieter than White Beach. Visit Kingfisher's Farm where you can fish for your lunch and the staff will grill up your catch. Diving is extremely popular around Boracay. 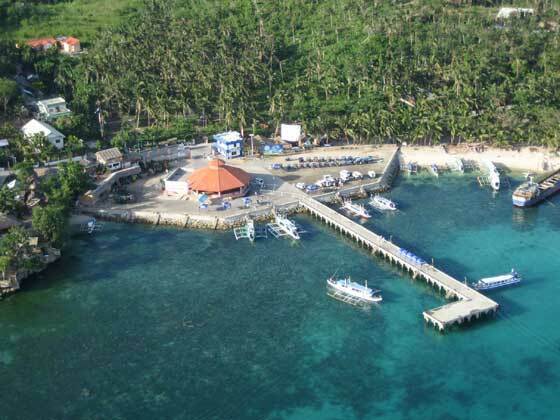 The waters surrounding Boracay have excellent sites for beginners and experienced divers alike. The waters are packed with vibrant fish and reefs, wreck sites, caves and canyons. There are 30+ great dive sites within 30 minutes of Boracay. 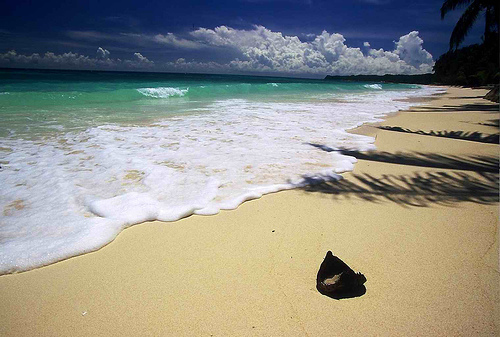 On the north there is also the beautiful and undeveloped Puka Shell Beach which is an image of what most people expect on a tropical island: white sand, azure water, and relatively empty. This is where locals gather the small puka shells for some of the jewelry that is sold on the island. While here you can visit Bat Caves home to thousands of giant fruit bats. At twilight, thousands emerge from these caves and fly over White Beach in search of fruit on Boracay and other surrounding islands. Shuttered in from the rest of the island by flamboyant greens and great hills, the Newcoast Beach at Boracay's edge remains one of the best-kept secrets of Boracay where the old ways of enjoying the island are pretty much left untouched. The Dead Forest, a scenic spot believed to be populated by elemental spirits, is likewise located within the boundaries of village Manoc-Manoc. A product of ecological disturbance, the Dead Forest, also known as the Sunken Forest was created when a dam that kept off the saltwater broke down, destroying the swamp and killing off the mangroves that grew in it. With dead tree trunks sticking out of stagnant water, the Dead Forest presents a highly romantic scene surrounded by old folk tales about ghosts and goblins. Local folk believe supernatural occurrences take place here, particularly on full moon nights. Boracay is a vacationer's paradise, with luxury 5 star hotels, through traditional bungalows; something for anyone's budget and taste. Choose from native, so-called nipa huts (cottage made of wood, bamboo and Nipa-palm leaves, modern and spacious cottages, all kind vacation houses along the beach and on hilltops overlooking the sea, and modern resorts and hotels with swimmingpools and spas. Boracay is above else famous for it's nightlife, with pubs and bars of all kinds that are jumping until very late at night. If you are looking for perfect place to spend your honeymoon - look no further. 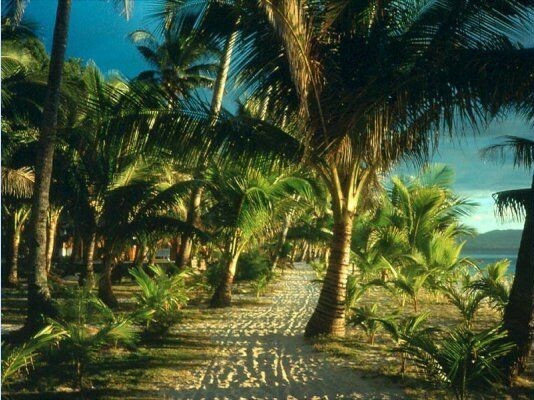 Romantic scenery will surround you on every step you make on Boracay island. High Season starts in October and ends in May, when the wind blows out to sea, leaving the beach pristine clean and generally calm. Open your eyes and heart and enjoy the natural scenery of this tropical pearl among Pacific islands. Perfect place to relax and enjoy life. Getting to Boracay is easy. Fly to the Philippine capital, Manila, then hop on a domestic plane to Caticlan Airport. 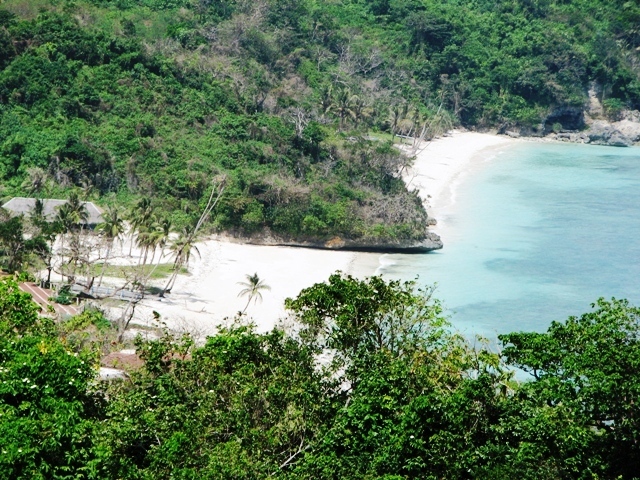 Once in Caticlan, Aklan, take a five-minute ferry ride across the channel to Boracay.